How do I get to the practice? By car: Paid parking on Groot-Brittanniëlaan and surroundings (blue zone). • Parking in the vicinity of Bijlokepark. On foot: Central station “Gent Sint-Pieters” is at 1 km walking distance. Our clinic is located at the intersection of the Martelaarslaan (inner city ring) and Groot-Brittanniëlaan (road with the tram tracks). 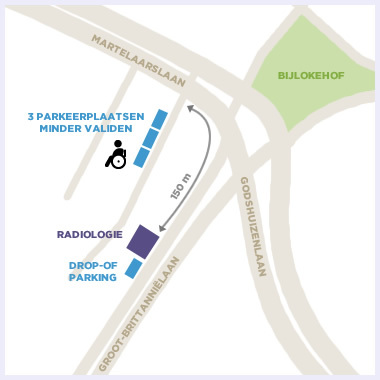 Disabled facilities: 1 drop off and pick up point right in front of the clinic and 3 parking spots just 150 metres away, situated near Martelaarslaan 11 (a street off Groot-Brittaniëlaan).